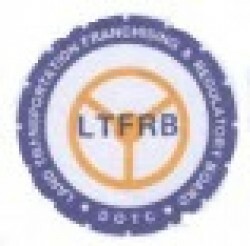 The LTFRB was created by virtue of an Executive order issued on June 19, 1987, with the goal of simplifying the land transportation industryâ€™s franchising system. Since the creation of the LTFRB, the issuance of franchises for land transport operators has become more stringent, resulting in higher safety standards for land travel. Technical evaluation staff ensure that operating and safety standards of commercial and private vehicles are observed, prior to the issuance of operating franchises.